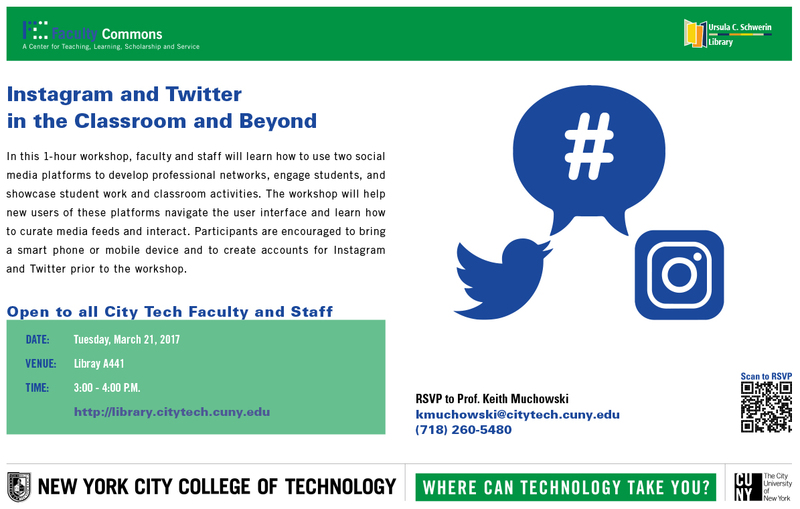 In this 1-hour workshop, faculty and staff will learn how to use two social media platforms to develop professional networks, engage students, and showcase student work and classroom activities. The workshop will help new users of these platforms navigate the user interface and learn how to curate media feeds and interact. Participants are encouraged to bring a smartphone or mobile device and to create accounts for Instagram and Twitter prior to the workshop.